By: Althouse, Andrew D.; Turnquist, Carl H.; Bowditch, William A.; Bowditch, Kevin E.; Bowditch, Mark A. 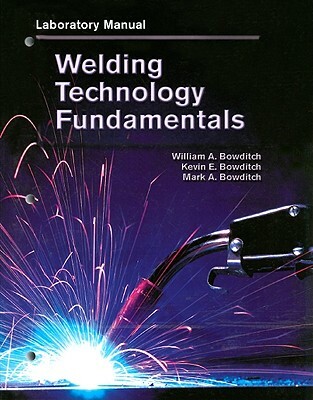 Modern Welding is a comprehensive text that has long been the standard for teaching the theory, fundamentals, equipment, and techniques of welding technology. The 2004 edition includes coverage of new processes, such as friction stir welding, and has been reorganized to place stronger emphasis on the more-widely used arc processes. 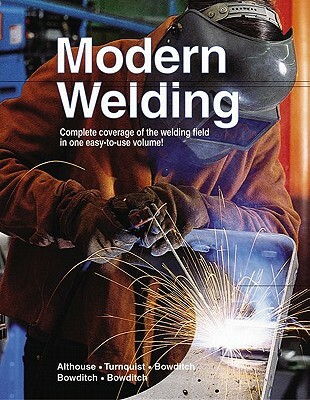 In addition to covering all welding and cutting processes, the text includes thorough coverage of welding symbols, testing and inspecting, and getting a job in the welding industry. Correlated with the QC-10 Standard. Author Name: Althouse, Andrew D.; Turnquist, Carl H.; Bowditch, William A.; Bowditch, Kevin E.; Bowditch, Mark A. Description: Book Leaves in 1 Business Day or Less! Leaves Same Day if Received by 2 pm EST! Cover is worn, mostly corners and binding. Acceptable. By: Bowditch, William A.; Bowditch, Kevin E.
By: Althouse, Andrew D.; Turnquist, Carl H.; Bowditch, William A.